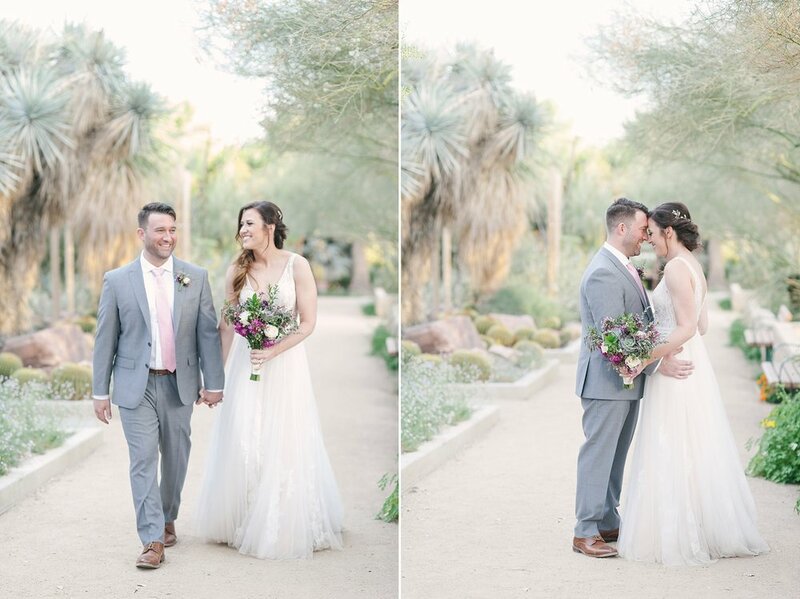 Spring weddings in Las Vegas gives couples great weather and pretty desert blooms and there's no place more perfect for this than Springs Preserve! It's a desert botanical garden in the middle of the city and it feels like you are miles away! 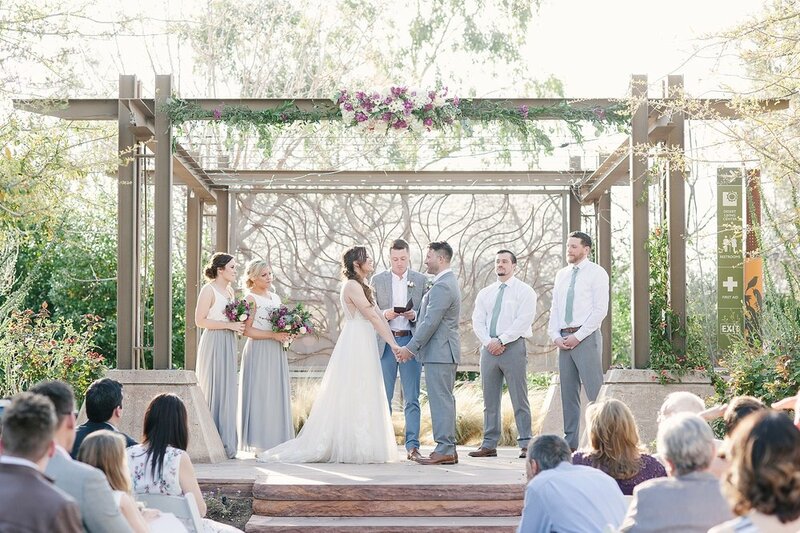 The landscaping is gorgeous and the ceremony and reception spaces are designed to flow harmoniously with their natural surroundings. 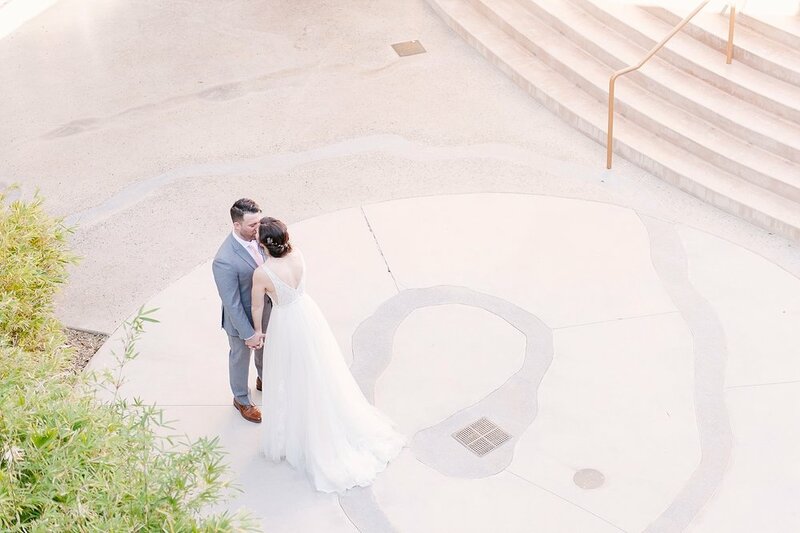 It's one of our favorite venues here in Las Vegas and after you check out Jessika and Levi's wedding, you'll see why too! Jessika and Levi came in from Texas to tie the knot in Vegas. 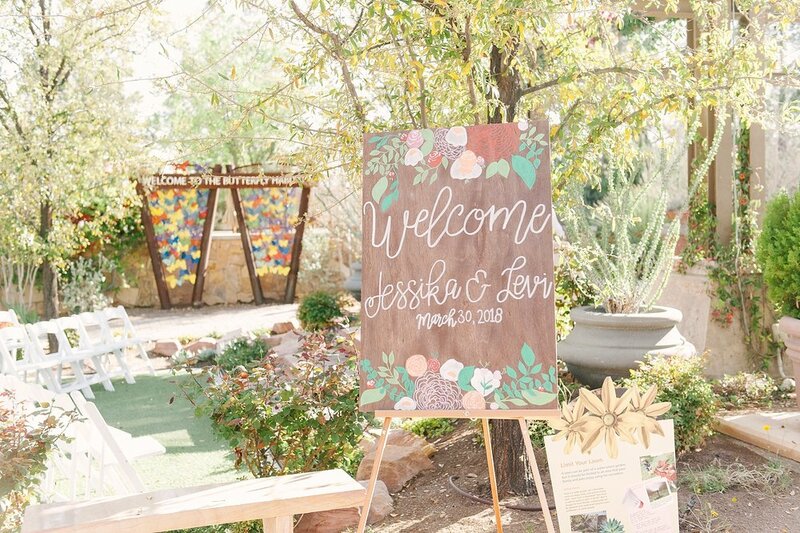 With some of Jessika's family here in town and other friends and family on the west coast, Vegas just seemed like the ideal location for the relaxed and down to earth wedding they envisioned. Plus, Vegas offered their guests all kinds of entertainment options for them to make the most of their trip! Jessika and her bridesmaids got all dolled up at Square Salon and then I met up with them at Springs Preserve. 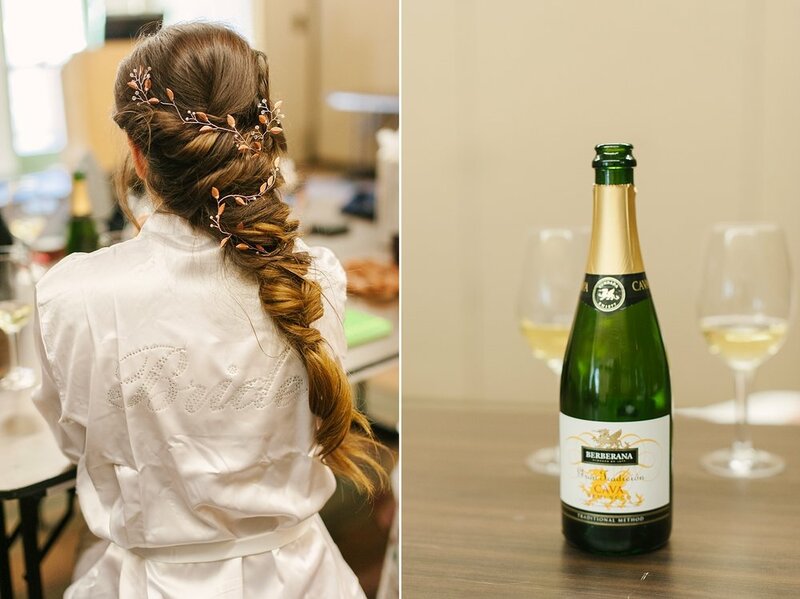 Jessika looked absolutely stunning in her Willow by Watters gown dress and her boho braid! Jason met up with Levi and his groomsmen, who weren't too far behind. They opted for a first look and oh my goodness, was it just the most beautiful and heartwarming first look ever! Ok, I know I say this a lot, but man, do I love a good first look and they are all good!! Afterwards, the couple had a few minutes to relax and freshen up before their ceremony, which was officiated by Jessika's brother! 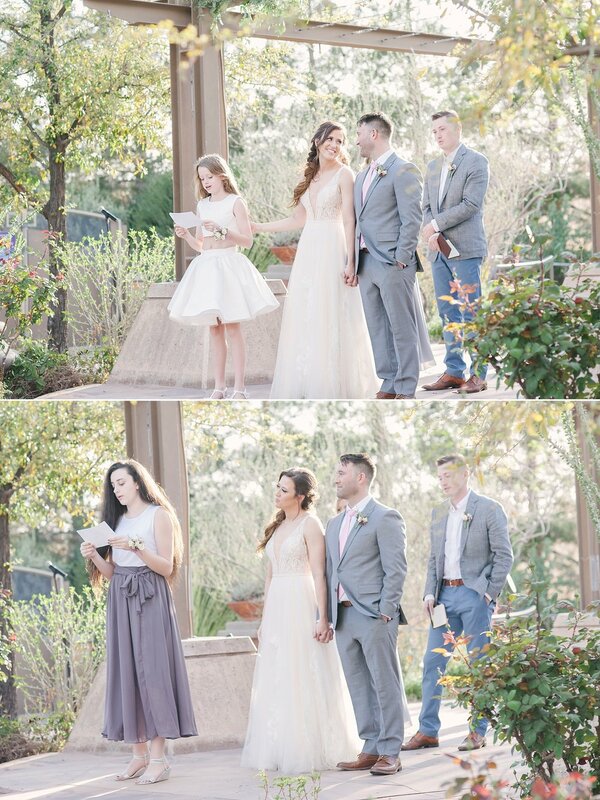 This made for a really intimate and personalized ceremony and I don't think there was a dry eye in the audience! Following the ceremony, it was time for cocktails and mingling for the guests, while we snuck off and took a little photo tour around the Springs Preserve before making our way to the reception. Remember when I said they wanted a laid back reception? 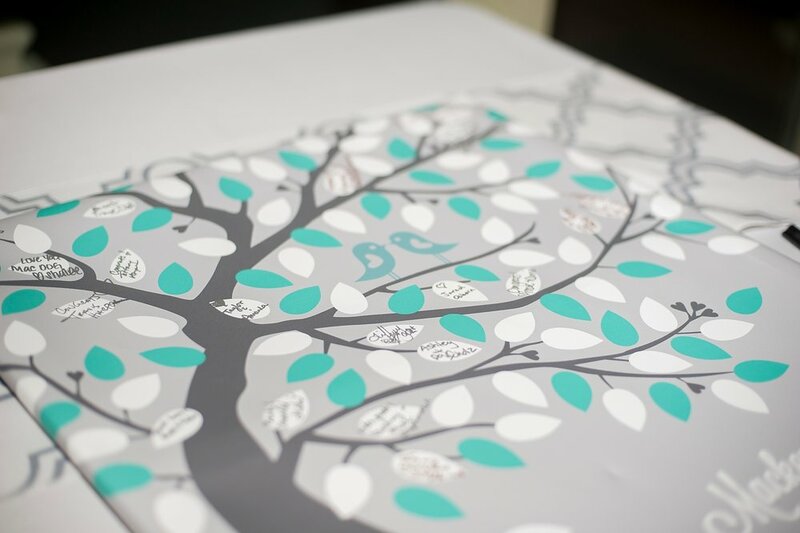 Well, with the help of Faith at Faithfully Yours Wedding & Event Planning, their vision came to life, complete with corn hole, shuffleboard, and foosball! The DJ also kept the music playing and the people dancing. This was definitely a fun party and Jessika and Levi had the best time on their wedding day! Mackenzie and John were guests at a wedding we photographed in San Francisco in 2015! So, when it was their turn to wed, they didn't hesitate to contact us. They said they liked being able to see us in "action" and liked our relaxed and friendly personalities throughout the wedding day and of course, they'd seen their friends' wedding photos and loved them! I'm so happy we were able to meet and capture their Springs Preserve wedding day! The weather in the days leading up to Mackenzie + John's wedding had me a little nervous. Super windy, cold by Vegas standards, and we even had rain! 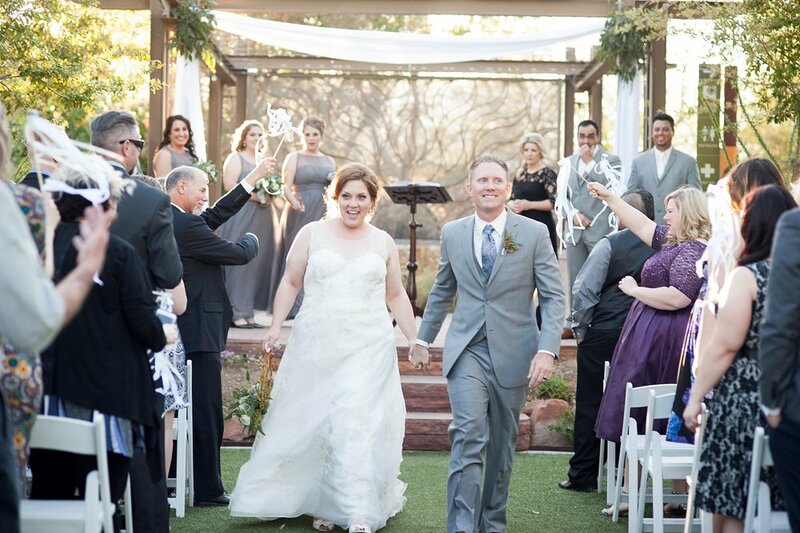 But as it turns out, Mackenzie + John had perfect weather to tie the knot! I couldn't be happier and I know Mackenzie and John were relieved too! Mackenzie and her bridesmaids got their makeup done at Makeup in the 702's downtown Las Vegas studio and her hair was also done prior to her coming to Springs Preserve. So, when we met up with them at the venue, she were all dolled up and ready to change into her beautiful wedding gown. Jason spent some time with John while he got ready and then we were ready for their first look! Ya'll know I love a good first look and this one did not disappoint! That moment when a bride and groom see each other for the first time on their wedding day is so special. It deserves to be done in an intimate setting where they can take it all in and just enjoy it fully! After their first look we did a few more portraits with the bridal party and then gave them some time to relax and freshen up before the ceremony. During this time, Jason and photographed all the pretty details and floral arrangements throughout the ceremony space, cocktail hour at the frame house, and the Garden Arbor reception room. Following their beautiful and gorgeously personalized ceremony by Angie from Peachy Keen Unions, we had some time to get a few more portraits of the new Mr. & Mrs. before entering their reception. Their reception was a blast! They had about 65 guests who were all close friends and family, so there was definitely a cozy family vibe throughout the night. It could not have been a more perfect day for a more perfect and deserving couple! Las Vegas is considered the "Wedding Capital of the World" and it's definitely a top tourist destination for people all over the world! 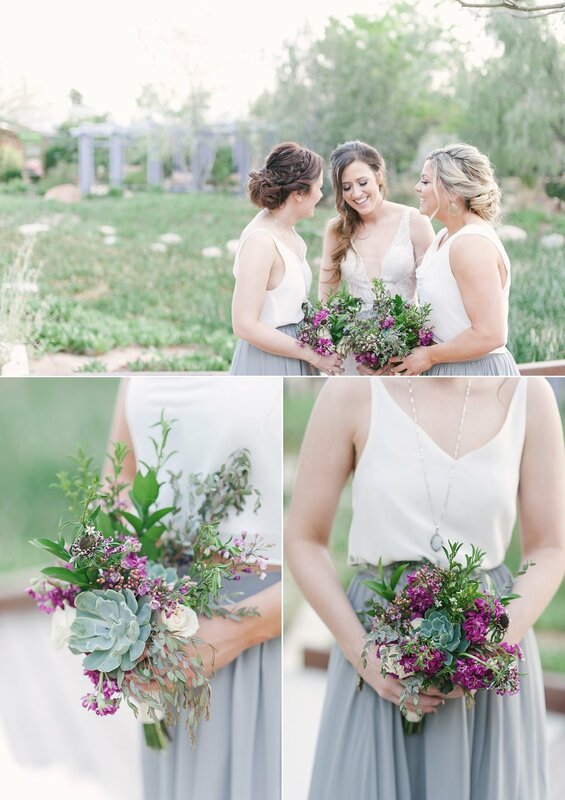 You can host any kind of wedding here, from a quirky elopement with just the two of you, a small and intimate pretty garden wedding, to a grand ballroom gala wedding. Add the endless entertainment options for traveling guests and it's no wonder so many couples choose Las Vegas as the place for their destination wedding. Most of our destination wedding couples choose Las Vegas because they want something a little different for their wedding day, but at the same time they want to be able to keep up with some traditions and offer their guests a great time. They tend to have anywhere from 10 to 100 guests all traveling from various parts of the country or even from across the globe! And while planning any kind of wedding can be stressful, a destination wedding can also be overwhelming when it comes to the planning details. Questions such as transportation logistics and accommodations come up, along with how to choose reputable and knowledgeable vendors when you often times can't meet with them in person. We've been photographing Las Vegas destination weddings, big and small, since 2009 and our goal has not changed. We want our couples to have an amazingly fun day and leave all the stress and worries behind. After all, most couples who have a destination wedding do so because they want to have fun too! Our destination wedding couples want to not only marry the love of their life here, they also want to have the time of their life here! Because so many of the weddings we photograph each year are destination weddings here in Vegas, we thought we would share a few tips that will help you have the best Las Vegas destination wedding without going crazy! 1. Hire a wedding planner. 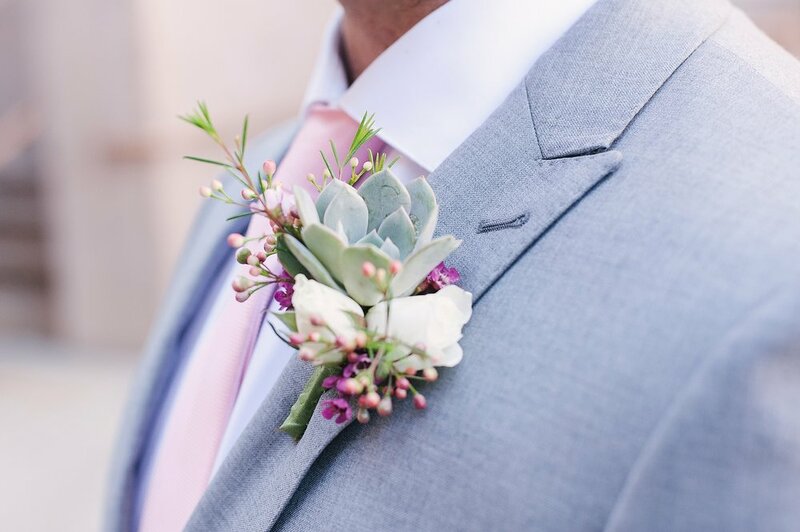 As a bride-to-be, you have lots of fun things to be focusing on, oh let's say like your honeymoon ;) Having a wedding planner who will handle some of the not-so-fun details of wedding planning and will guide you to making good decisions ensures your day runs smoothly and allows you to have the stress-free dream wedding you deserve! 2. Ask for recommended vendors. Most wedding venue, planner, or other vendors, will have vendors they recommend. In our case, we give our couples a list of preferred vendors and these are always vendors we know personally, who's work we love, and we've worked with extensively. Having vendors who trust and respect each other means we'll work together smoothly and efficiently. Plus we'll have your best interest at heart. Hair & Makeup Artist: Amelia C. and Co.
3. Have a timeline. We are super picky about ensuring our couples have a timeline. 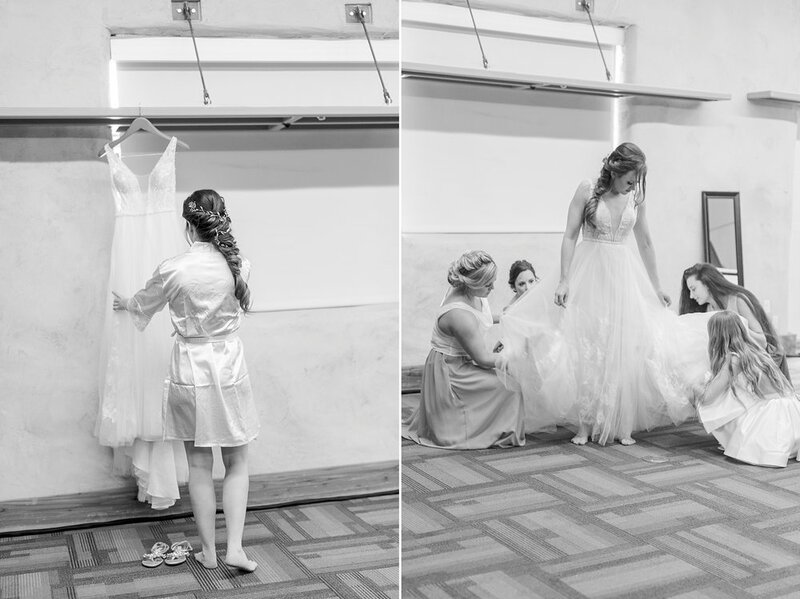 As wedding photographers, our entire day is driven by the timeline. We'll work together with you and your wedding planners on the best timeline for your day. We've photographed so many different weddings that we are pretty good about knowing how much time you'll need for each aspect of your day. 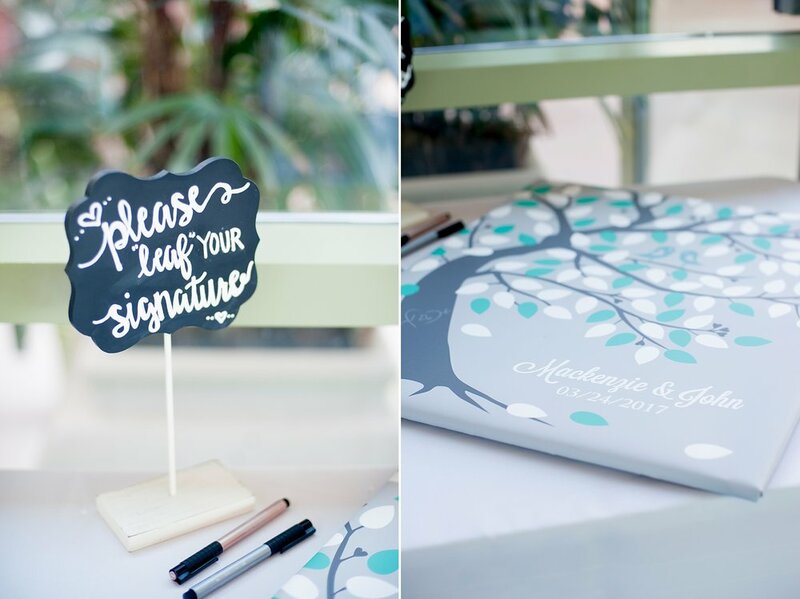 We send all our couples 2 questionnaires that include everything from the family group combinations to your final wedding count and everything else in between! With a timeline in place, you won't have to worry about where to be when or what photos still need to be taken, because we'll have it all taken care of. We hope these 3 simple tips were helpful to you. As your wedding photographers, we'll be with you every step of the way and come your wedding day, we'll be ready to capture your day beautifully and most importantly, without stress! Be sure to contact us to see if we're available for your date and then let's start planning together!